measurable and potentially major impact on the causes of poverty in our area. 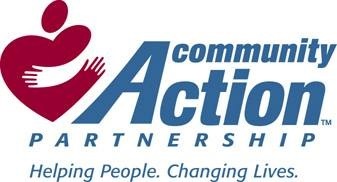 Jackson-Vinton Community Action, Inc.
5:00 p.m. the second Thursday of each month. The Executive Director is Cheryl Thiessen. ABOUT JACKSON-VINTON COMMUNITY ACTION, INC.
Jackson-Vinton Community Action (JVCAI) was incorporated on September 25, 1965 as a 501 (c) (3) tax exempt, charitable corporation through the IRS. The establishment of the agency was a local response to President Johnson's enactment of the Economic Opportunity Act (EOA) of 1964. The agency's first location was in Wellston and the first service provided was through our Health Clinic with three employees. The agency has an average of 81 employees and approximately 60% are Head Start employees. The agency's current funding is over 4 million dollars providing services to 20,627 customers. An eighteen member, volunteer, Board of Trustees, governs our agency. Nine members from Jackson and nine members from Vinton county, representing three sectors of the community: low-income, private and public. The unique governance concept, the tri-partite board, was designed to promote "maximum feasible participation" by the poor. We also have a Head Start Policy Council whose membership of 12 is comprised of at least 51% parents and 49% or less Community Representatives. This formal structure of program governance provides parents and other community representatives with the authority and opportunity to participate in shared decision-making concerning program design and implementation. The organizational structure of the agency is very diverse. We receive funding from Federal, State and Local resources offering 22 different programs. The programs include: Head Start, Home Weatherization Assistance Program, Housing Assistance Grant Program, Foreclosure Mitigation, HEAP, Winter Crisis, Summer Crisis, Medicaid Outreach Program, and Women, Infant and Children. We also have Community Services Block Grant funding that provides funding for Health Services and our Transportation Program. The agency has 5 sites-1 in Vinton County and 4 in Jackson. In September 2015 our agency along with Head Start celebrated 50 years of providing services to the constituents of Jackson and Vinton Counties. By providing quality community services in a compassionate, respectful manner, Jackson-Vinton Community Action, Inc. strives to empower individuals and families to become self-sufficient, thereby enriching the quality of their lives.